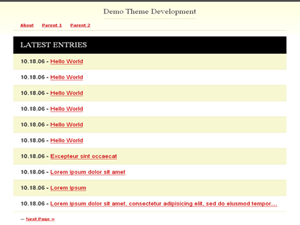 Description: A one-column, no sidebar, no widget, no archive, no categories theme. I don’t know what I was thinking with this one. Maybe I was just tired. But! I love it.